It's the season once again, when La Salle and Benilde Students troop to One Archers Nook for a grand college tradition.. Jawbreaker Day!!! 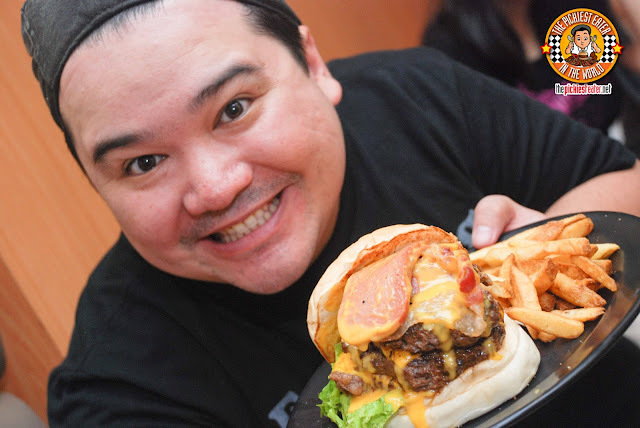 Zark's Burgers and I have teamed up for their Fourth Anniversary, to give one lucky reader and four of his/her friends tickets to get into Jawbreaker Day for free! 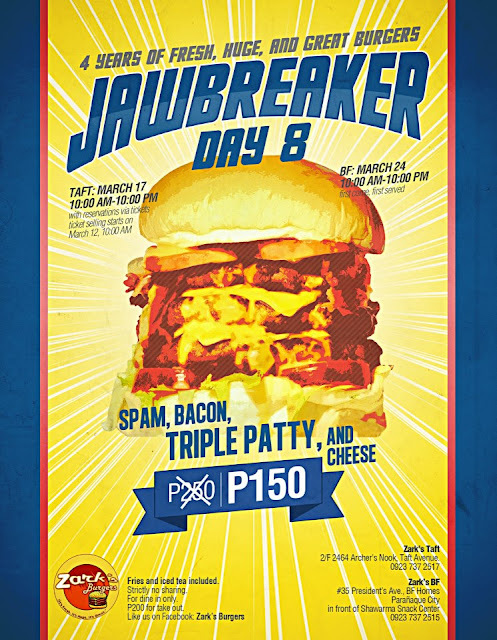 In case you don't know what Jawbreaker day is, it's the day when Zark's Burgers offers their famous "Jawbreaker" Burger, which usually sells for P250, for only P150 instead! 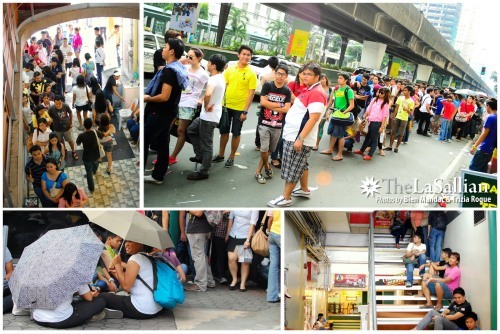 Jawbreaker Day has become one of the most highly anticipated events of the trimester, causing traffic and ridiculous lines down Taft Avenue. Thankfully, in order to elimate the queues, Zark's came up with a better system wherein they sell tickets to the event at the Hour of your choice, making the turnover of people much smoother. What would cause people to suddenly forget their plans for the day, and spend it instead standing in the scorching heat? The Jawbreaker is a triple patty burger, with Bacon, Spam, and melted Cheese! Me & my blogger friends attended Jawbreaker day last year, & we all had a blast! So who wants some tickets to Jawbreaker Day?? In celebration of their fourth anniversary, Zark's Burgers and I are giving out Five tickets to Jawbreaker day! Join the giveaway now! 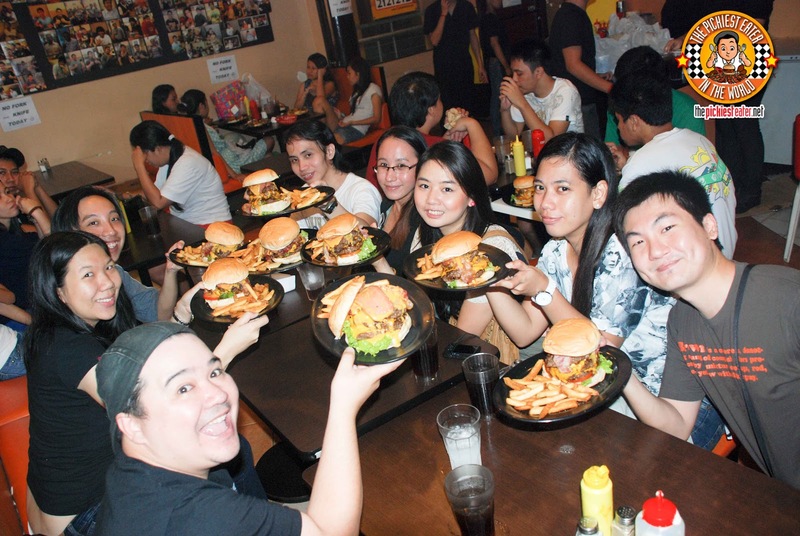 Zark's Burgers has decided to up the ante & ADD MORE TICKETS!!!! And as of this update (March 14, 10am), ALL TICKETS for Jawbreaker Day on March 17 are SOLD OUT, and the only way to get them is from this giveaway! In case you wanna know what you're missing out on, you might want to check out my Jawbreaker Video HERE. The contest ends at 11:59pm on March 15, and the winners will be announced by 12 noon the latest on March 16, via The Pickiest Eater In The World Blog. It would be the nicest in 4pm time slot. 11AM would be just fine. thanks! 11 am :) My dad would love this! 12pm.. Lunch time and anniversary date with my hubby..
8pm please! This is perfect since I work near Taft Avenue! 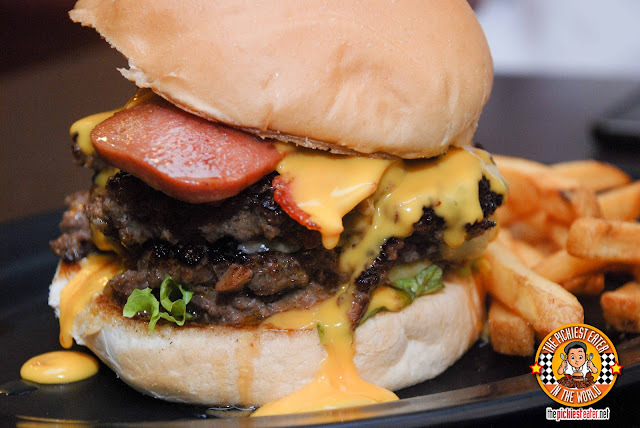 We we're wishing to have a wonderful BIG BURGER at early dinner so 6PM will do. hope to be the lucky one!! I choose the 4pm slots. anytime will do.. as long as its for free.. peace! 11 am would be great :) may exam pa kami kinabukasan eh haha.